Hamilton Wenham Regional School District: Elementary Music News! Buker School | For Parents | Elementary Music News! Save the Date for the Spring Concert! The Elementary Instrumental Program is offered to 4th and 5th grade students. We have had great success with this program, offering group lessons in a variety of instruments, and an elementary ensemble for students with previous musical instruction, and an elementary chorus. As your child pursues his/her musical education, they will have the opportunity to participate in the Middle School and High School bands and choral groups. The Elementary Ensemble is directed by Michael Ferreira. Kendall Clark is the director of the Elementary Chorus. An ensemble of 4th and 5th musicians who have had at least one year of previous musical instruction. Rehearsals are once a week (Wednesday, 7:20am-8:10am / Buker School.) Students can take the transfer buses to their schools. The Elementary Ensemble Director is Michael Ferreira. The ensemble has two evening performances during the school year, and a holiday tour of elementary schools. First year students have the option of joining the ensemble in January, if supported by the instructor. Small group instruction for fourth and fifth grade students with no previous instrumental experience taught after school for 45 minutes, once a week. Group lessons are offered in (two) twelve class sessions. Classes are held at the Buker School. The transfer bus can be used for lessons held immediately after school. In the event there is not enough interest in an instrument, a private lesson will be the option. Private lessons for the serious student, offered to either fourth or fifth graders. Lessons are arranged directly with the instructor. Group lessons are held in two twelve week sessions. Cost per session is $168, payable to the instructor on the first day of each session. Elementary Ensemble has an extracurricular fee of $150. Students joining the Ensemble mid-year have a fee of $75. 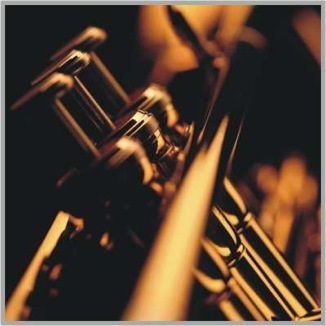 The instruction book, Essential Elements 2000, is required for both lessons and ensemble. This book is available at Music and Arts, and Amazon.com. The instrument rental is also required. Music and Arts.com is an option. There are 12 classes per session. Please register online (see Registration tab). Every effort is made to keep class sizes small. In the event there are not enough students to make a class, or there are too many students, the instructors will attempt to structure it so everyone has a positive experience. You will receive a confirming email from hwelementarymusic@gmail.com. Please check your SPAM folder. Checks should be made payable to the instructor and brought to the first class. Instructor information will be included in the email confirmation. Upon the conclusion of Session 1, students have the option of continuing for an additional session of 12 classes. Instructors will inform students of the first session's end. ALL CLASSES ARE HELD ON THE BUKER SCHOOL STAGE. Students may take the transfer buses to Buker. Students must be picked up promptly at the end of class. Ensemble Registration Mid-year Enrollment. Download form and bring to rehearsal. Chorus Registration : Please download form and return to the school. 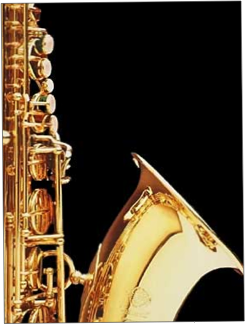 Instruments can be rented or purchased from many vendors. An online option is Music and Arts, located on Rte 114 by Trader Joe's. Please direct any questions about your instrument to the instructor, whose email address will be included in your confirmation email. Instruments can be picked up at the store located on Rte. 114. Percussion students should look for the rental option with the 'combo bell kit'. Remember that an instruction book is also necessary: Essential Elements 2000 and can be purchased online, as well. Why should you join the BCW Chorus? The BCW Chorus is open to all 4th and 5th grade boys and girls from Cutler, Winthrop, and Buker Schools. A wide variety of songs from many different periods and cultures will be learned throughout the year. You will also learn fun exercises to develop better vocal skills. In addition, there will be celebration parties after concerts. BCW Chorus meets on Tuesdays and Thursdays from 7:30-8:15 A.M. in the CUTLER SCHOOL. Students from Winthrop and Buker will be escorted to transfer busses after rehearsal. There are 3 concert performances during the year. Parent assistance during rehearsals and performances are crucial for a successful chorus. If you are interested in helping on Tuesday or Thursday mornings, please sign up on the student enrollment form. ALL INTERESTED VOLUNTEERS ARE GREATLY APPRECIATED!!! This is a wonderful opportunity for all 4th and 5th grade students to become part of very high caliber Hamilton-Wenham Schools Fine Arts organizations. 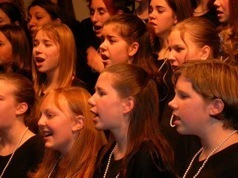 Continuing chorus after elementary school offers many exciting choral and musical drama performance opportunities during Middle and High School. I am very excited about the upcoming year and greatly look forward to the privilege of working with all of you. Contact me at k.clark@hwschools.net with any questions. The Friends of the Arts (FOTA) has generously supported scholarships for participation in these programs for more than a decade. If you would like to apply for a scholarship, please complete this form and turn it into your child's school office, with the requested documentation. Scholarship requests must be completed by 9/28/18. You will be notified of the scholarship, if awarded.